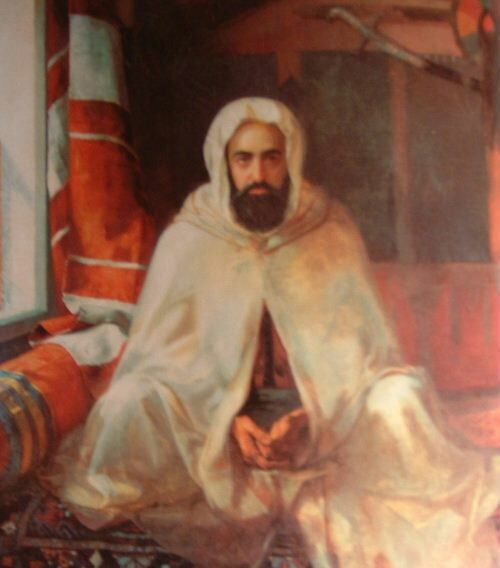 He was `abd al-Qadir ibn Muhyi al-Din ibn al-Mustafa ibn Muhammad, from a family of nobles, originally from al-Maghrib al-Aqsa (Marokko), then they migrated to Algeria. He was born on Friday the 23rd of Rajab year 122 H. in the village of al-Qaytana (القيهطنجة) in the region near Ma`askar (معسمكر) in al-Maghrib al-Awsat in a family known for its piety. He grew up under his father’s care, memorized the Qur’an as a young boy in his father’s madrasa and learnt from him the basics of fiqh and other sciences, and then he studied under other scholars. 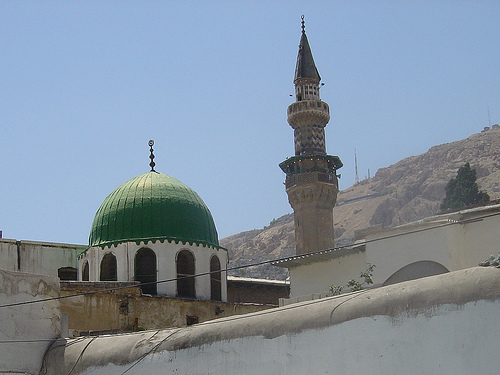 In 1236, he travelled to Oran (وهران to persue his studies util he gained mastery in various subjects such as Arabic litterature, hte sciences of Tawhid and Fiqh and logic. He memorized most part of Sahih al-Bukhari. He also learnt French, and was trained in horse-riding and the use of weapons, hence he became conversant with both the sword and the pen. وقـال: فـإني، منذ إعداد حجة *** لمنتظر لقياك يـا أيها البدر! وجدُّك، قد أعطاك من قِدم لنـا *** ذخيرتكم فينا. ويـا حبذا الذخر! تضوّع طيباً، كل زهرٍ بنشـره *** فما المسك؟!ما الكافور؟!ما الندُّ؟!ما العطر؟! وما حاتم؟! قل لي. وما حلم أحنف؟ *** وما زهد إبراهيم أدهم؟! ما الصبرُ؟! 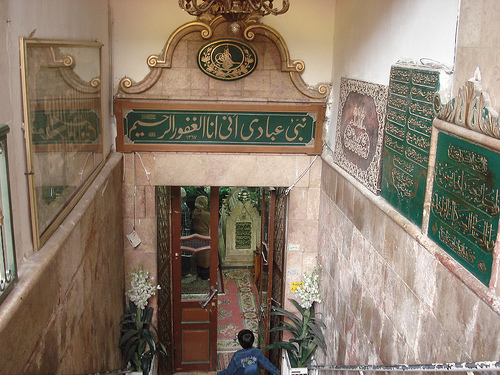 وذا، وأبيك، الفخر، لا فخر، من غدا *** وقد ملك الدنيا، وسـاعده النصر! 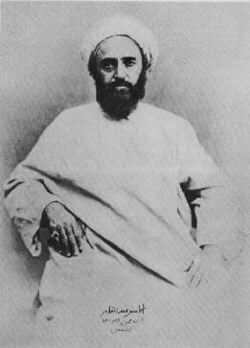 أبو حسن، لـو قد رآه، أحبّه *** وقال له: أنت الخليفة، يا بحر! وشتّان، ما بين الحجيجين، عندنا! *** فهذا، له ملك. وهذا، لـه أجر! فيلقى مناخ الجود. والفضل، واسعاً *** ويلقى فراتاً، طاب نهلاً، فما القطر؟! ويلقى رياضاً، أزهرت بمعارفٍ *** فيا حبذا المرأى! وياحبذا الزهر! ويشرب كأساً صرفةً، من مدامةٍ *** فيـا حبذا كأس! ويا حبذا خمر! خذ الدنيا والأخرى، أباغيهما!! معاً *** وهات لنا كأساً فهذا لنا وفر!! 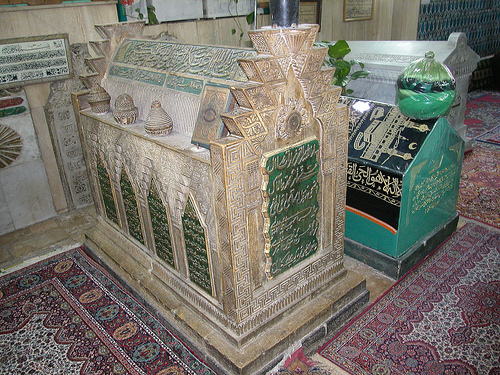 He was buried in the Maqam of al-Sheikh al-Akbar in Salihiyya, however his remains removed and brought to Algeria in 196x, upon the request of the Algerian government.